The G7 Summit in Quebec recently is further proof that Donald Trump absolutely has to have the last word and feel like he has won every conversation he enters into. 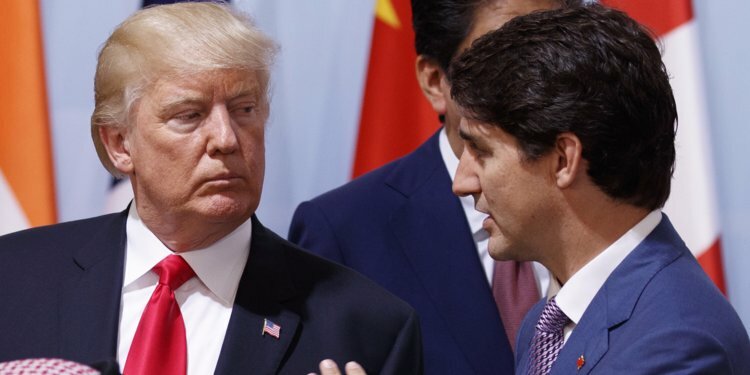 As a conservative person by nature, there are many issues I agree with the president on but the way he just laid waste to the allies at the G7 Summit was the embodiment of the statement “you are hardest on the ones you love”. I was not aware that there was a 270% tariff on dairy and that is certainly something that directly affects some of the hardest working Americans in the country. That being said, it is impossible for even the president to believe that he is just going to have the leaders of the other member countries simply lay down and admit that America has been on the short end of the stick for so long that you are ending it immediately. The fine line between diplomacy and dictatorship is always very blurry when it comes to relationships with world leaders and Donald Trump. If you are the man that can bring Kim Jong-un to the negotiating table, why can’t you be the guy that can maintain our relationship with our allies? Get them to understand that America needs the scales tilted back in her favor over the course of the next 36 months or some other reasonable amount of time. I mean, it’s Canada…we shoot a bunch of movies there and they got all the good hockey players. Refrain from calling their leader weak. You know who doesn’t have to call out a weak leader? A strong leader, that’s who. Try to refrain from talking down to world leaders that lack the resources to steer clear of being bullied. I understand enough about business to know the president would never speak that way to a country that can take him to task, I just don’t believe you do America a whole lot of good making them feel that when you walk in the room….late. Donald Trump continues to do the unimaginable on a daily basis. And that can be seen as both a good thing and a bad thing and be equally accurate trains of thought. We are America and we are slowly getting back to being the consistent eye of the storm, but it is really unnecessary to unload the rain and throw the shade on the people who have been our closest allies for decades? None of those relationships are perfect, and the businessman inside Donald Trump is ready to squash those that take advantage of America. Perhaps in this case, it would be wiser to simply begin the process of trade equality with more optimism and less angst.